The Writer in Residence programme engages early-career arts writers with Jerwood Arts’ programme of exhibitions and events at Jerwood Space, London. 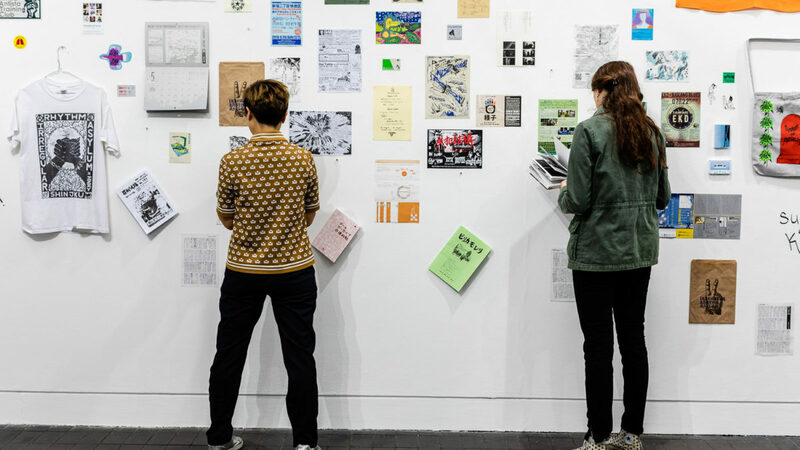 It provides a paid writing opportunity and developmental support for outstanding UK-based writers, inviting resident writers to engage with exhibitions as they choose. The programme aims to publish thoughts and essays that open up contextual debate surrounding the issues and themes explored by artists within the exhibition programme. Since launching in 2011, the Writer in Residence programme has hosted 24 writers including: Gwen Burlington, Taylor Le Melle, Nicolas Helm-Grovas, Tom Emery, Hatty Nestor, James Gormley, Kathryn Lloyd, Philomena Epps, Lizzie Homersham, Tom Overton, Alice Butler, Elinor Morgan, Patrick Langley, Basia Lewandowska Cummings, Shama Khanna, George Vasey, Morgan Quaintance, Eleanor Nairne, Jessica Lack, Colin Perry, Gareth Evans, Chris Fite-Wassilak, David Trigg and Louisa Elderton. The Writer in Residence programme is managed by Harriet Cooper, Head of Visual Arts, and Lauren Houlton, Gallery Manager. We are currently seeking applications for the second Writer in Residence for 2019. This appointment will run from June 2019 – December 2019. * Self-directed development opportunities will be identified in discussion with the Jerwood Arts team and might include activities such as mentoring, training, a small-run publication print or contributing to the events programme. All applications will be reviewed by Jerwood Arts staff who will decide on a shortlist of approximately six applications. Meetings will take place with the shortlisted applicants before a final selection is made. You can see examples of work by previous Writers in Residence here.